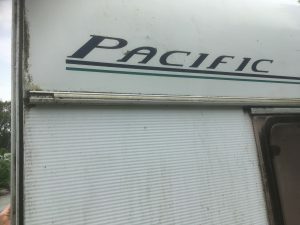 This Ace caravan is for sale with it’s present owners. 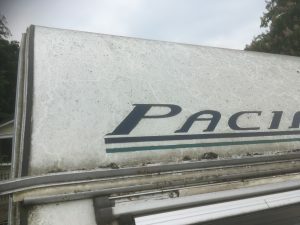 However, prior to sale, the caravan needs a spruce. 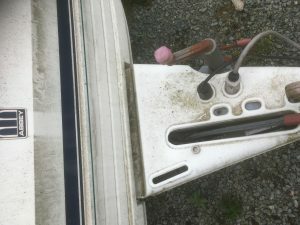 The owners have called upon SSA Valeting to restore the shine to this near twenty year old caravan. 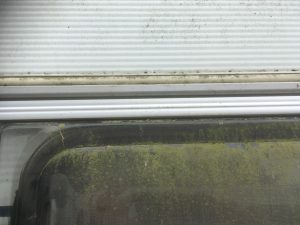 Look closely at the photographs and see how the moss, leaf deposits and general dust and dirt have become stuck to the caravan surface. 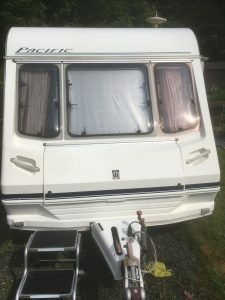 Caravan valeting in Sheffield is not only cost effective, but when selling your caravan or motorhome, may help you get a quick sale or a better return! 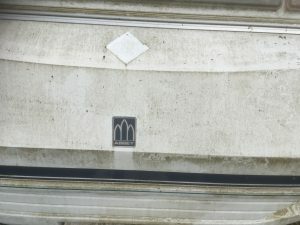 In addition, for a further £40, the whole exterior of the caravan can receive a buff and polish. 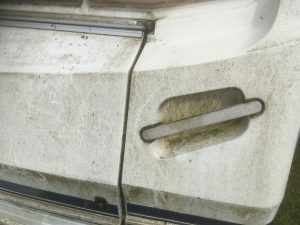 This involves applying a “compound” to the caravan exterior surfaces using an electronic buffer. The whole of the caravan then receives a wax with Carnauba wax, helping to retain a long lasting shine. SSA Valeting offer a fully mobile service. We come to you complete with our own water – might be important if you are on a water meter. 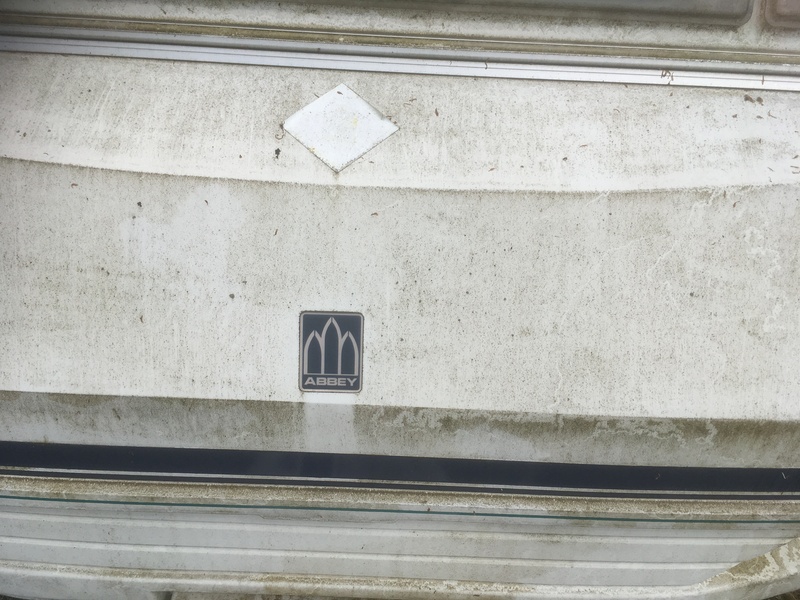 We also valet caravans and motorhomes at your chosen location – so maybe at your storage yard. It is worth checking in advice with your storage provider if they are happy for a valet to take place on site. 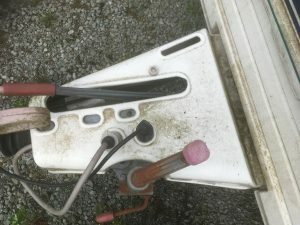 Caravan valeting in Sheffield and surrounding areas – how to book? Booking is easy – simply call Scott on 07725 547101 or click on the contact form below. I will return your message as soon as possible. You should allow four to six hours for us to complete the transformation. Advance booking is essential. Remember it’s a totally mobile service – we come to you. 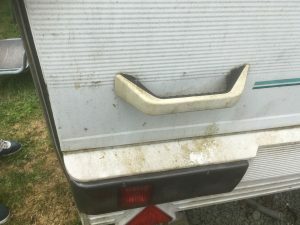 Why not take a look at our motorhome valet page too?